Affirmation: I am calm and at peace within myself. I embrace the oneness of all life, and my peaceful attitude promotes goodwill for all. I am generous with my time, attention, and resources, and in this way, I spread love and joy. Spiritual uses: Chalcedony was used in the Jewish High Priest’s Breastplate with inscribed gems representing the twelve tribes of Israel, worn by Moses’ brother Aaron. Mental uses: The pastel blue of this chalcedony elicits the soothing energy of a peaceful lake. 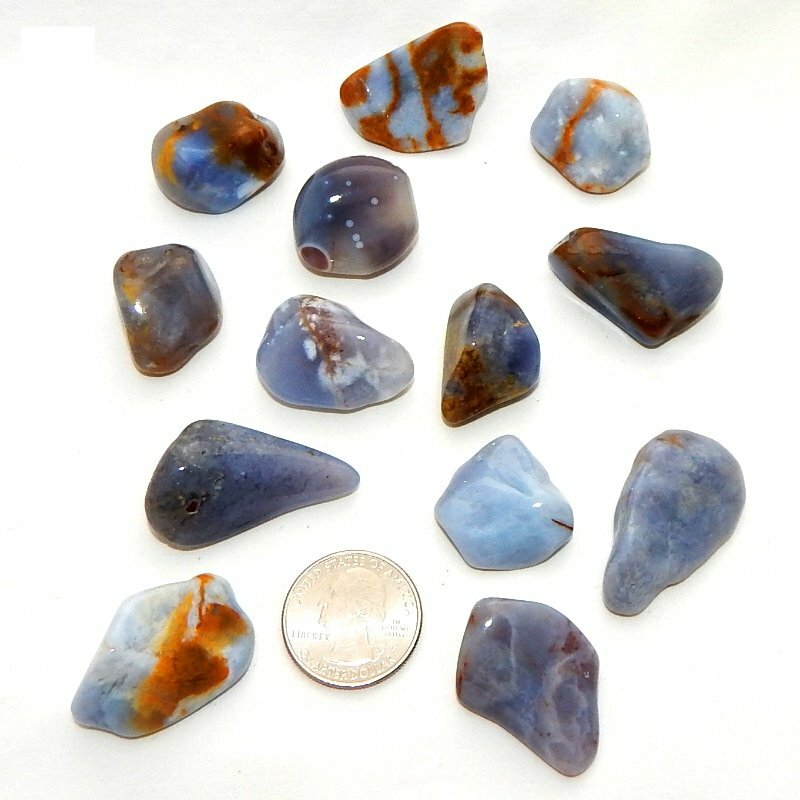 Use this stone to help turn off the incessant chatter going on in your mind. 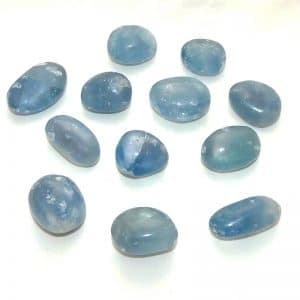 Emotional uses: Blue chalcedony relieves hostility and irritability. It promotes feelings of kindness and compassion. 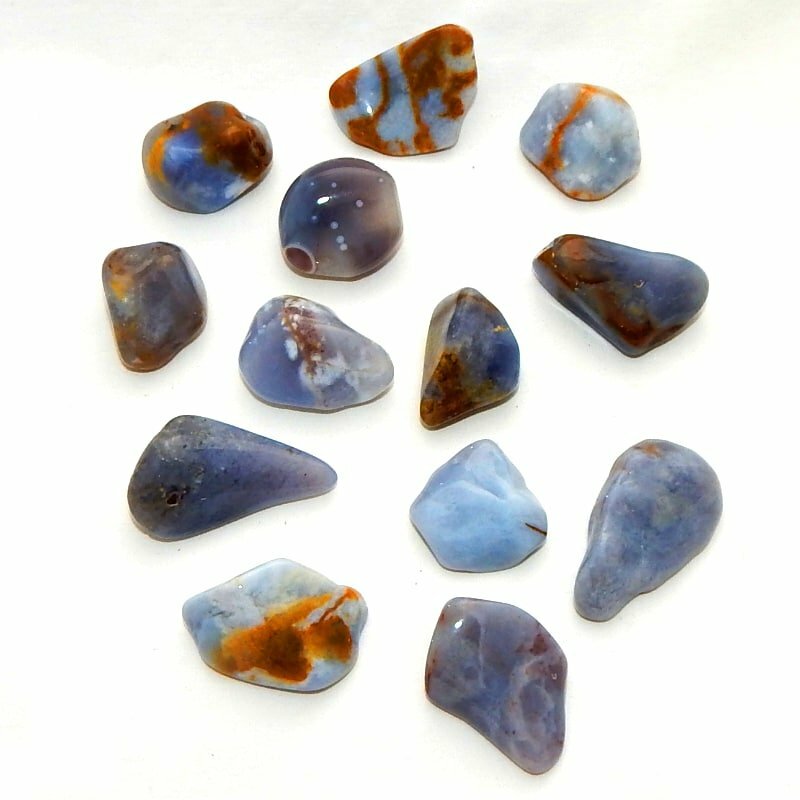 Physical uses: Blue chalcedony is useful for healing problems associated with the throat, neck, or head. 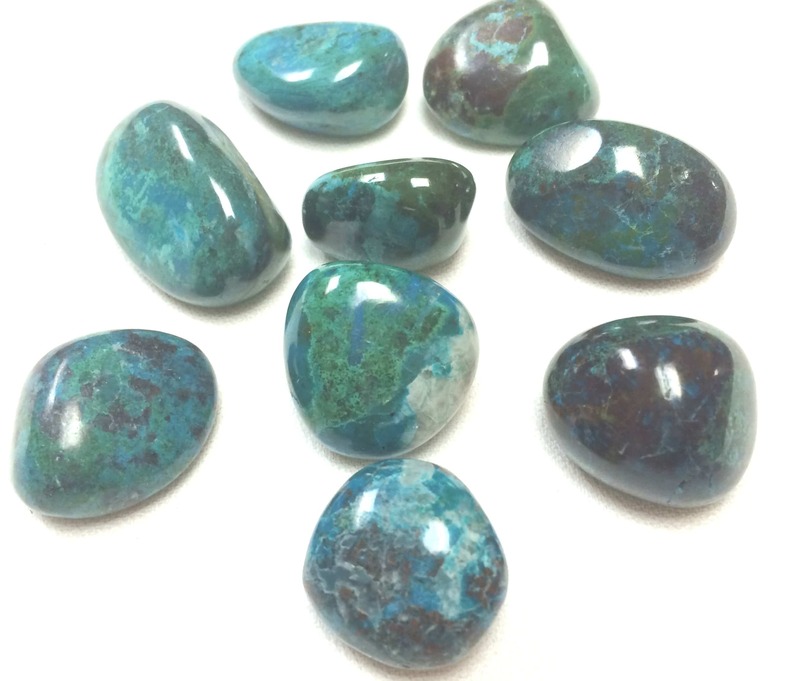 Use this stone for a headache, a sore throat, or an earache.